Dar es Salaam. The Aga Khan Health Services Tanzania (AKHST) has embarked on an ambitious multibillion-shilling expansion programme that will see it offer high-quality medical care and increase its capacity as a teaching institute within the Aga Khan Development Network (AKDN). The Aga Khan Hospital, located at the corner of Ocean Road and Ufukoni Road, is a constituency of the AKHST and is set to be the largest beneficiary of the $55million (Sh86.5billion) growth drive that will see the addition of new buildings and facilities for treatment and training. Established in 1964 the hospital is renowned for the quality of its services. The hospital is also a postgraduate teaching centre with 20 to 25 residencies in various branches of medicine and in 2003 it was awarded ISO certification for offering world-class clinical, diagnostic, administrative and support services. AKHST is part of a group of agencies collectively known as the Aga Khan Development Network (AKDN). Its mandate stretches the gamut, from healthcare and education to architecture, microfinance, rural development and disaster management. Part of the network’s healthcare ambitions involve expanding the Aga Khan Hospital to keep pace with growing demand for high-quality medical care, particularly tertiary services that are not readily available in Tanzania. The hospital has also been earmarked as a future training hospital within AKDN’s system of medical, nursing and allied health education. This Phase Two expansion strategy involves the construction of a new, 10,000 square meters building that will connect to the current structure at Ocean Road. Phase Two will consolidate and expand many of the significant inpatient functions in a new facility, taking the current 74-bed hospital to 150 total beds. Under the plan the hospital will eventually host a comprehensive cardiology programme which will include facilities for catheterization and cardiac surgery. The institute will also host a cancer programme that will include chemotherapy treatment and advanced cancer surgeries. The Sh86.5billion wing will also be the home of new surgical suites; a new diagnostic imaging suite that will include an MRI machine, a CT scanner, and a nuclear medicine suite (which is essential for mapping out cardiac function) as well as facilities for general radiography, fluoroscopy, and ultrasound. A few more projects are also in the works including plans for a new intensive care facility that will include cardiothoracic, surgical, medical, and neonatal intensive care rooms; and a new labour and delivery suite complete with private paediatric and maternity beds. Much of the focus of Phase II is to support a new cardiac program at the Aga Khan Hospital and to strengthen the hospital’s existing paediatric and maternity programmes. The AKHS also recently announced its intention to expand it coverage in Tanzania from the present five primary health care centres to 30 over the next five years. We feature below an interview with project consultants Payette Associates who are represented by Mark Careaga, AIA Associate Principal. Mark Careaga and Tom Payette, Payette’s Principal, recently visited Tanzania for discussions with the Board of Directors of The Aga Khan Health Services Tanzania and with senior representatives of the Aga Khan Development Network. Q: Payette was established in 1960 when the orientation towards innovative health care design was relatively nascent. How did you manage to inculcate a culture of design philosophy fused with innovative processes in the health care design centred on the experience of the patient? A: Our innovative, human-centred approach to healthcare design has its roots in Fred Markus and Paul Nocka. Fred and Paul were very interested in how hospitals function and they used time-and-motion studies and extensive first-hand observations to develop a detailed understanding of how hospitals work and how they could be made to work better. This outlook naturally led to a design philosophy that places an emphasis on the human experience even within the highly technical and demanding environments of hospitals. Q: Payette is one of the world’s leading architectural firms in health care design matching the challenges and complexities of design in your projects with innovative and sustainable built environments. How do you achieve this? A: A lot of our success has to do with our culture as a firm. We maintain a singular office in Boston, Massachusetts in the United States and this allows us to practice as a think tank, cultivating young talent and allowing the accumulated wisdom of our collective intelligence to permeate projects throughout the office. Our firm’s culture sets excellence as the standard by which we measure our work. We are constantly looking for new and better ways of solving the various problems we encounter through the design process. I think a lot of our innovativeness is a result of this open, inquisitive firm culture. The sustainable dimension of our work is deep-seated and has roots in our human-centred approach to design. Q: Payette has been notably associated with the use of research in healthcare design, a practice that is changing the way healthcare facilities and indeed other building types are designed. What are your thoughts on this? A: Evidence-based design (EBD) is a relatively recent field that is doing some excellent work in identifying spatial configurations that are directly linked to improved clinical outcomes. Essentially, EBD applies the rigors of the scientific method to techniques of performance evaluation that architects have used for decades, such as post-occupancy surveys. In our work we combine detailed first-hand observations of how existing facilities are configured and operated with our long-term experience with what has been successful. Our research is an on-going evolving project that builds on the collective body of our work. Q: The Aga Khan University (AKU) Karachi Hospital, Medical College and School of Nursing was one of your first projects outside the United States. AKU was lauded as a benchmark for responsible development in the region. How did you achieve this? A: A lot of the credit for the success of this first project should be attributed to His Highness the Aga Khan who is a highly educated patron and an astute critic of architecture. One of the first things Tom and his core team did at the outset of the project was at His Highness’ direction, undertook a six-week tour of historic Islamic architecture in Spain, North Africa, Persia, and South Asia. From these first-hand observations the team came to realize that truly sustainable architecture lies at the intersection of climate and culture. By seeking a building form that reflects history and local patterns of inhabitation, the design team adapted traditional methods of building that are fundamentally sustainable: roof forms and portals that help channel prevailing breezes, veranda walkways that are shaded and which filter the harsh Karachi sunlight with terracotta block screens, and lushly-planted courtyards that mitigate the local microclimate. Q: What is your experience with health care design in East Africa or elsewhere on the continent? A: Africa is relatively new for us, though Tom Payette did some consulting for the Aga Khan Hospital in Nairobi in the 1970s. We have been working with the Aga Khan University Hospital in Nairobi since 2009, starting with master-planning that campus. We are currently designing a medical office building for AKU Nairobi that will start off as a temporary home for their new Faculty of Health Sciences (School of Medicine and School of Nursing). Q: The Aga Khan Hospital Dar es Salaam Phase II, with a preliminary budget of over $50 million, is the single largest private health care project in the country’s history. How did you come to be associated with the project? A: Since 2009 we have been engaged in master-planning and conceptual design work for the Aga Khan University Hospital in Nairobi. In 2010 we were informed that His Highness has approved our appointment for similar work in Dar es Salaam. This marked the beginning of a broader engagement in projects for the Aga Khan Development Network (AKDN), beyond the original hospital project in Karachi. Q: This is Payette’s first major assignment in Tanzania. Can you tell us the scale of the project and what you expect it to cost? What type of building are you doing and when it will be done? A: The Aga Khan Hospital in Dar es Salaam is currently a 74-bed secondary hospital on a relatively small site. An effective teaching hospital needs to be something on the order of 300 beds at a minimum in order to offer the range of tertiary-level medical and surgical specialties that are needed to support post-graduate medical education residency programs. Our current project is an important first step. Another key factor is the age of the hospital’s facilities. The original hospital building is from the 1950s and it cannot keep pace with the changes in medical technology and their associated needs for space and infrastructure. The building needs to be replaced by a modern facility that can carry the Aga Khan Hospital into, say, the next 50 years. Phase Two projects are designed to take over the bulk of the hospital’s functions. We will be able to shift lower-intensity functions, such as consulting clinics and offices, to the old hospital building which will facilitate its eventual demolition in future phases of expansion and redevelopment. So Phase Two expansion will involve the building of a 10,000 square metre premise that connects to the current Phase 1 structure which will improve many of the hospital’s inpatient functions. Q: What would you highlight as your client’s key vision and objectives for this project? A: His Highness the Aga Khan has taken a personal interest in this project and is keen to see it move forward quickly. He has expressed a desire that the quality of the facilities and the services provided keep pace with the best international institutions including the Aga Khan University hospitals in Nairobi and in Karachi. His Highness is also interested in having facilities that attract and retain high-quality physicians and staff. Q: Can you share with us aspects of the design philosophy and morphology of Phase II? What are some of the key distinctive architectural features of the project? A: We are at the very early stages of planning and design so it’s a little too early to answer these questions. That said we do have some ideas about how the building will appear. Since we are building from the current Phase 1 building on Ocean Road we anticipate a similar design attitude with horizontal visual cues that come from the use of projecting balconies which provide a place to enjoy the view as well as shade from the heat and the sun. Passive sun-shading is important to reduce the building’s energy footprint and to minimize glare and discomfort for the occupants. We also envision a strong, unifying roof form so that when viewed from a distance, the hospital is seen as an ensemble of fairly small pavilions with a lively roof-scape. Q: Hospital design is a complex humanistic process. How have you ensured in this environment that people, process and place come together to create a paradigm for defining the patient’s experience? A: This is one of the constant challenges of architecture and design especially in healthcare. Since we embrace a fundamentally humanistic approach to design, it comes somewhat naturally though it does require constant focus. In the case of the Aga Khan Hospital in Dar we had some early, rather obvious, observations about what makes this place special, such as the location overlooking the ocean. What a wonderful amenity for those who are sick and for their families! So we started with that, using views of the ocean as a touchstone for the patient and visitor experience. Everything revolves around that. Q: How do you approach your work here and what are some of the key challenges you foresee? A: Distance is one of the key challenges we always face in our work for the AKDN, given that we are based in Boston, Massachusetts, in the United States. Advances in communications technology over the past decade have helped overcome this challenge in many respects, but there is still no substitute for meeting face-to-face. So I envision that we will be in Dar pretty regularly as design and construction progresses. Another key challenge is the process of translating design intent to the local construction market, in terms of available materials and products, workmanship, construction techniques, and other things. We are looking to assemble a team that includes a strong local component, which will be essential for this process of translation. Q: Based on your knowledge of health care design, what advice would you give to the local architectural fraternity? A: I feel fortunate that during our recent visit to Dar, we had an opportunity to visit B. J. Amuli’s Kariakoo Market building, which I learned about after discovering ANZA Magazine last year. I think American architects have as much to learn from Tanzanian architects as the other way around. I think the best advice we can offer is for architects everywhere to stay focused on what is really important: the experience of those for whom we are designing and building. Holistic and integrated built environments will emerge if we approach design in a holistic way, keeping all aspects of the problem—functional, environmental, technical, experiential—in play and developing them simultaneously. Nothing should be an add-on and the emphasis should be on experience without sacrificing the other aspects. Q: Do you expect to collaborate with local consultants on this assignment or even consider building local capacity in this highly specialized area of healthcare design? If so, how would you expect to accomplish this? A: Yes, we fully expect to collaborate with the local construction industry whether they be designers, builders or suppliers. Our first goal on behalf of our client is to get the project designed and built within the context what we can. We will require strong interaction with the local industry to be able to accomplish that task. We trust that in doing so, this interaction will lead to capacity building locally. We have started the process of meeting some members of the local design and building industry; assembling the team is a work in progress that will take a number of months to accomplish. Q: Based on your experiences in developed markets what would you suggest government does to embrace integrated health care design as a tool for building a healthy community? A: I am not sure we are in a position to offer advice to the government given that we are newcomers to Tanzania. As a general rule, healthcare in developing countries starts with treatment of diseases, usually infectious diseases, and eventually progresses to preventative medicine that starts outside the hospital. And this evolution usually tracks with a corresponding evolution in economic development and improvements to urban infrastructure, such as sanitary sewer systems and clean water supply, both of which have a direct impact on the health of the populace. So government can play a strong positive role in the health of its citizens by investing not only in hospitals and clinics but also in infrastructure by enacting and enforcing codes and standards that provide safe buildings and by implementing public health initiatives related to safe food and clean water. PARTNERSHIP: Dr. Müller (right), the German Federal Minister of Economic Cooperation officially hands over the training centre to Al-Karim Haji, the AKU Vice President, Finance and Chief Financial Officer. DAR ES SALAAM, Tanzania - The Aga Khan University (AKU) opened the new home of its School of Nursing and Midwifery in Dar es Salaam at Salama House last week. “The partnership between AKU, the Federal Republic of Germany and the EAC, plus the support of the Republic of Tanzania will give more nurses and midwives an opportunity to improve their clinical and leadership capacities,” Al-Karim Haji, the AKU Vice President, Finance and Chief Financial Officer said. This state-of-the-art facility inaugurated last week is mandated to train nursing and midwifery leaders dedicated to saving lives and improving health care for the people of Tanzania. In his remarks, Dr. Sezibera, outgoing Secretary General of the EAC said Aga Khan University is playing a leading role in the region’s effort to harmonize and modernize nursing curricula and standards across member states. The €1.2 million (TSh.2.95 billion) project was funded as part of a €17.2 million (TSh.42 billion) grant to AKU from the Federal Republic of Germany to improve health in East Africa by providing nurses and midwives with high-quality education and training. The opening was presided over by Dr. Gerd Müller, German Federal Minister of Economic Cooperation and Development; Dr. Helmut Schön, KfW Country Director for Tanzania; Dr. Richard Sezibera, outgoing Secretary General of the EAC; Dr. Hamisi Kigwangalla, Tanzanian Deputy Minister of Health, Community Development, Gender, Elderly, and Children; and Al-Karim Haji, AKU Vice President, Finance and Chief Financial Officer. Al-Karim Haji said with the opening of the new home of School of Nursing and Midwifery, they were helping to change the trend of shortage of skilled nurses and midwives. “The opening of this facility is a significant event in the development of nursing and midwifery in Tanzania,” Dr. Kigwangalla said. Adding that the facility will help Tanzania educate the kind of nurses and midwives needed; those who can tackle complex problems and ensure that all Tanzanians get the health care they deserve. “Aga Khan University, the Federal Republic of Germany, and the EAC have our appreciation,” he said. AKU’s School of Nursing and Midwifery’s new home includes the resources needed to educate nursing and midwifery leaders using the latest methods: a library with new digital resources, a computer lab, modern classrooms, and a high-quality science lab and skills lab. In addition to enhancing the quality of the School’s existing nursing programmes, the project has also increased available space, which will allow AKU to launch a new post-RM Bachelor of Science in Midwifery programme and to train more working nurses through its professional development programmes. AKU has graduated more than 2,100 nurses in East Africa since 2004. In Tanzania it has educated more than 600 nurses including 311 who hold a Post-RN Bachelor of Science in Nursing that prepares graduates for leadership and which is held by relatively few Tanzanians. THE Aga Khan Hospital has been awarded accreditation for good quality by the Joint Commission International (JCI). CI is a not-for-profit organisation dedicated to continuously improving, providing and sustaining safety and good quality medical services. The accreditation means that the Aga Khan Hospital has achieved a level of quality and patient service that is equal to the best hospitals in the world. In Africa, there are nine such hospitals and Aga Khan Hospital is the first hospital in Tanzania to achieve JCI accreditation. Chief Medical Officer, Professor Muhammad Kambi, said it was a great achievement and urged the hospital to keep working hard in delivering health services as it would bring positive impact on the overall healthcare in the country. Prof Kambi also appreciated the offer made by the Aga Khan Hospital to work with the government on improving safety and quality standards across all hospitals countrywide. Chief Executive Officer (CEO) for the Aga Khan Hospital in Dar es Salaam, Mr Sulaiman Shahabuddin, said the Aga Khan Development Network was working with all stakeholders, including the government, to improve the quality of health care in their health facilities and a number of government hospitals. Mr Shahabuddin said that partnering with the government was among the reasons for their health facility receiving the ISO 9001: 2008 certification. “Accreditation is a longterm and difficult process, over the last two years, we have introduced methods and systems that raise the quality of patient care to the level required by JCI,” he noted. Agencies of the Aga Khan Development Network provide health services in Tanzania to nearly 400,000 people a year through its hospital, health centres, community health programmes and medical training programmes. In order to constantly push accredited hospitals to even higher standards of patient care, JCI issues new and upgraded standards that Aga Khan Hospital is required to embrace and institute and although the review happens just once every three years, the staff and doctors at the hospital is constantly evolving to ensure that patients are given the highest standard of care for best possible outcomes. Dar es Salaam — The Aga Khan Hospital is implementing a Sh176 billion expansion project that will see the facility match the international status it attained last week from the Joint Commission International. The hospital will increase the number of from 74 to 170 and has set aside Sh3 billion for training young health professionals abroad. According to the Aga Khan Health Services regional CEO for East Africa, Mr Sulaiman Shabiabuddin, the hospital will acquire cutting edge medical equipment. "Tanzanians should now know that more complicated diseases will be treated here," he told The Citizen on Sunday in Dar es Salaam. Aga Khan Hospital was recently accredited an international status by the JCI. This, according to the hospital authorities, means that it has met 321 standards and 1,218 measurable elements. The areas surveyed included; patient safety, infection control, care of patients and continuity of care. The panel also reviewed the hospital's patient-centred standards. The Minister for Health, Community Development, Gender, Elderly and Children, Ms Ummy Mwalimu, said in Dar es Salaam yesterday that the government spends enormous amount of money every year in providing tertiary level treatment to Tanzanians in overseas hospitals. “The expansion will allow us to ensure that Tanzanians receive advanced medical care at home with all the convenience and support that they rightly deserve,” said the Minister at a ceremony to unveil the project. The project worth 167bn/-, which will be commissioned by 2018, will allow the 175-beds hospital to provide best health care in non-communicable diseases. Ms Mwalimu, who was the guest of honour at the event, expressed gratitude to the Aga Khan Health Services Institution which owns the Aga Khan hospitals, for its contribution in development of health services in the country. “The new project is truly a significant investment towards health sector public partnership investment,” she said. Ms Mwalimu observed that the non-communicable diseases were on increase pointing out junk foods and lifestyle changes as the main cause of the diseases. 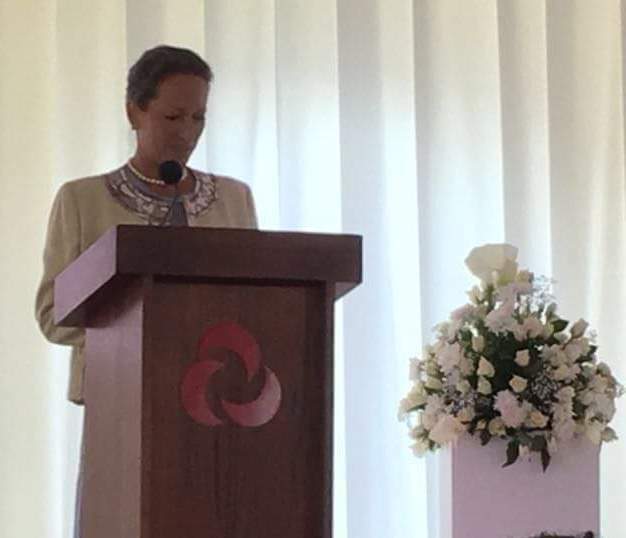 Chair of the Board Executive Committee of Aga Khan Health Services, Princess Zahra Aga Khan, said her institution came up with the idea of expanding the hospital in Dar es Salaam following the increase of cases of non-communicable diseases. “Five per cent of the cases the Aga Khan Hospitals receive are of non-communicable diseases,” she said. Director of Projects and Clinical Programmes Development at the Aga Khan Health Services, Dr Zeenat Sulaiman, said the health facility will house clinical units of neurosciences, cancer, oncology, gynaecology and neonatology. “The health facility will have teaching and learning spaces at each clinical unit throughout the hospital for allied health professionals,” she said. Meanwhile, Ms Mwalimu has directed Muhimbili National Hospital (MNH) Board of Directors to oversee that the hospital reduces unnecessary referrals abroad to cut government spending on the area. She also directed the board to look through the possibility that 25 per cent of medical drugs reimbursement is used for procuring medicines from the Medical Stores Department (MSD). Ms Mwalimu made the directives when inaugurating the new MNH Board of Directors in Dar es Salaam yesterday. "Over 25bn/- is spent on referrals outside the country every year; I am convinced that you are going to reduce the number once MNH achieves its status of a super specialist medical centre in the country," said Ms Mwalimu. These can only be achieved by availing those health services that are sought outside the country yet they can be obtained within the country, although to some extent that has been attained citing an example of cochlear implant. "The procurement of drugs and medical equipments at MNH should be properly scrutinized so that 25 per cent revenues obtained from medicines is used to buy the same from MSD," she said. Ms Mwalimu called on the board to see through that collection of revenues at the hospital is improved while exercising the National health Policy for women, children under five and elderly obtain medical services freely. "I commend MNH for a notable achievement on revenue collection from the former 2bn/- to currently 4bn/- in a month," noted the Minister. The Chairman of the MNH Board, Prof Charles Majinge, pointed out that for a long time, the performance of the hospital was not as expected due to financial constraints and lack of enough medical supplies but it was time to exercise a new vision. "My Board will work to see that we are generating effective solutions that will work on the long existing challenges that have been facing the hospital," pointed out Prof Majinge. All these will be achieved by MNH reflecting its status of a super speciality medical centre and improved services offered at the hospital. Meanwhile, Muhimbili National Hospital has received three ambulances from the Government of Japan and Bango Sangho Dar es Salaam. Speaking at the handover ceremony, the Ambassador of Japan, Mr Masaharu Yoshida, said a grant contract was signed in February 2015 by the two countries, whereby Japan extended 36,603 US dollars, which is equivalent to 80m/- for the purchase of two ambulances. ‘‘Before the project, MNH had only one ambulance functioning, patience was required to use public transport or private cars for referrals, which is a big burden, particularly to the low-income people,’’ he remarked. He added: “The situation caused delay of medical care or sometimes death of people, so upon the request of the former Executive Director, Dr Marina Njelekela, the Government of Japan decided to extend this grant," said Mr Yoshida. On her part, Ms Mwalimu extended recognition to Japan and Bango Sangho Dar es Salaam for their assistance, noting that the ambulances will help save many lives. She called on more individuals with the ability to offer emergency service aid such as ambulances to do so to help save lives. 24 August 2016 - Dar es Salaam, Tanzania. 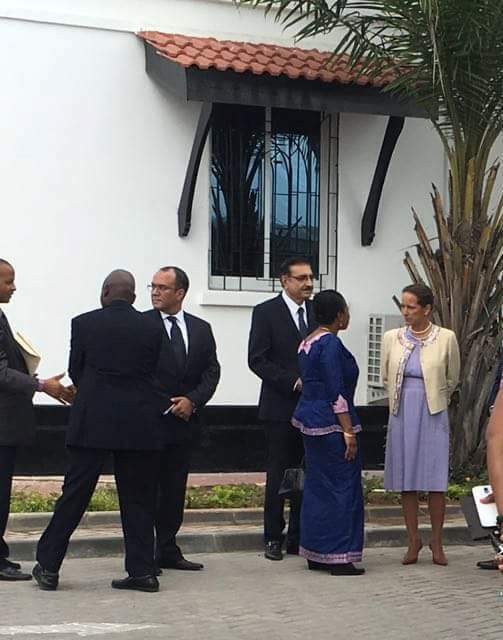 Princess Zahra attended the ceremony for the expansion of the Aga Khan Hospital. 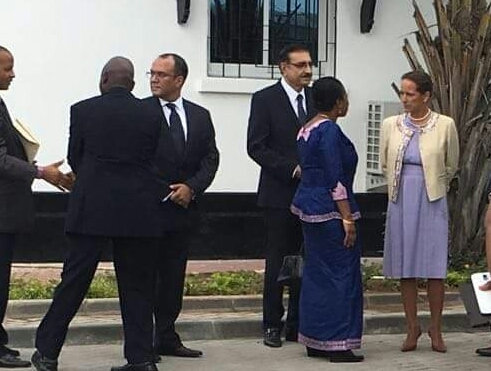 Princess Zahra Aga Khan, said her institution came up with the idea of expanding the hospital in Dar es Salaam following the increase of cases of non-communicable diseases. Tanzania will save 25 billion/- per year from transferring patients to overseas upon completion of a major expansion of the Aga Khan Hospital that will see the health facility develop into a major teaching and tertiary academic medical centre. "The expansion will allow us to ensure that Tanzanians receive advanced medical care at home with all the convenience and support that they rightly deserve," said the Minister at a ceremony to unveil the project. "The new project is truly a significant investment towards health sector public partnership investment," she said. 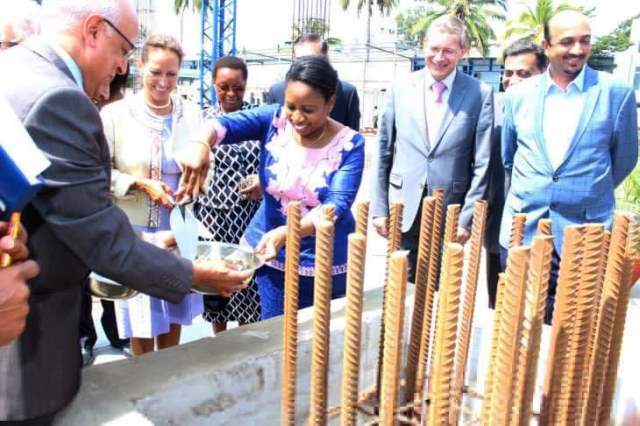 Dar es Salaam, Tanzania, 23 August 2016 - Tanzania’s Minister for Health, Community Development, Gender, Elderly and Children, Honourable Madam Ummy Ally Mwalimu, and Princess Zahra Aga Khan, Chair of the Aga Khan Health Services Board Executive Committee, officially launched Phase 2 construction of the Aga Khan Hospital today. The Hospital is at the centre of a healthcare system under the Aga Khan Health Service, Tanzania (AKHS,T) that currently provides quality healthcare to 400,000 Tanzanians. After its US$ 80 million (Tshs. 167 billion) Phase 2 expansion, the Hospital will develop into a leading teaching centre and tertiary health care medical facility for the country and the rest of sub-Saharan Africa. The budget also includes an expansion of the number of outreach health centres throughout the country up to 35. Through improvements in its training facilities, it is intended to have a significant impact on the quality of health care at other Tanzanian institutions. The overall expected impact includes the provision of superior health care services to a large population of Tanzanians. Along with more traditional services, such as family medicine, child and maternal care, the development of new specialist programmes in cardiology, oncology and neuro-sciences will assist in addressing the strong increase in mortality caused by chronic diseases, both in Tanzania and across sub- Saharan Africa. Princess Zahra Aga Khan stressed the need for capacity building in the country, indicating that it is the key driving force for the Phase 2 expansion, and is essential in scaling the programmes to eventually become a launchpad for a postgraduate medical education. She said that the Phase 2 program includes funds which have been set aside to train Tanzanians in specialized medicine at leading international institutions. “The Government today spends enormous amounts of money in providing tertiary level treatment to Tanzanians in overseas hospitals. We clearly need to reverse this trend. The Phase 2 expansion will allow us to ensure that Tanzanians receive advanced medical care at home, with the convenience and support that they so rightly deserve,” said Honourable Ummy, during the opening. Tanzania’s Aga Khan Hospital is only one of two internationally accredited Hospitals in East Africa, the other being the Aga Khan Hospital in Nairobi, Kenya.